"A family business offering you the service you deserve" has always been our philosophy, from the moment you walk through the door to the completion of your project we are here for you. 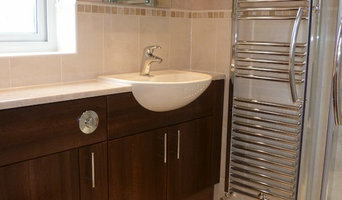 We can design, supply & install bathrooms, kitchens, bedrooms & home studies using the best components on the market. In our factory in Farnborough, Hampshire, we make our own kitchen, bathrooms, bedroom & home office furniture. We make standard sizes & bespoke pieces. Our two-floor showroom in Basingstoke, Hampshire is only minutes from the M3 and within easy reach of Winchester, Andover, Newbury, Reading, Farnham and Alton. The showroom provides the opportunity to see a wide variety of bathrooms and tiles from the world's leading manufacturers, such as Villeroy & Boch, Porcelanosa, Aqata, Merlyn, Bisque, Vado, Zehnder and Mereway. 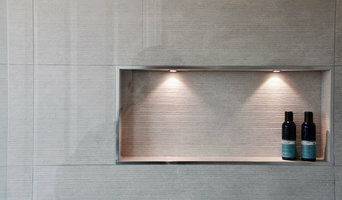 We have a luxury bathoom showroom in Camberley, Surrey. We specialise in the design, supply and installation of luxury bathrooms, wet rooms, steam rooms and natural stone. Come and visit our showroom. In 2013 we were awarded Bathroom Designer of the Year project cost up to £25,000.00 from KBB Review. Established in 1991 to rescue and restore original antique baths dating from the 1880's, Antique Bathrooms of Ivybridge showrooms and workshops house some beautifully restored cast iron roll top baths and it's here where all our restoration services are carried out. The company offer a full UK nationwide delivery service, using our own vehicle or carefully selected partner, ensuring a safe delivery of your bath & accessories. A quality Itchen Abbas, Hampshire bathroom designer will start by getting to know you, your family and your home, to understand how to create a bathroom perfectly tailored to how you live. Bathroom designs can vary hugely in spec depending on the size of the space and a good bathroom designer will be able to offer creative solutions that will still allow you to achieve the style you want in the space you have. 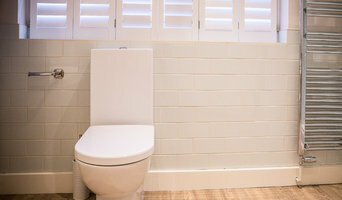 From wet rooms to cloakrooms to luxury ensuite bathrooms, bathroom design can be particularly tricky because of all the plumbing and infrastructure involved, so it’s handy to have bathroom fitters in Itchen Abbas, Hampshire on call who can handle any plumbing, wiring or structural questions that may arise. Many bathroom designers will also offer a full bathroom fitting service, using their network of Itchen Abbas, Hampshire bathroom fitters to ensure you get a perfect finish. The benefits of employing professional bathroom designers and bathroom fitters in Itchen Abbas, Hampshire include guidance and advice on how to make the best of a small bathroom space or how to create a truly luxury bathroom if you have room to spare. From clever bathroom layouts to the best bathroom furniture your designer can help you make the best decisions and offer ideas for how to create the bathroom of your dreams. It’s essential for your Itchen Abbas, Hampshire bathroom designer to understand your needs precisely in order to design and fit the bathroom that you want. Being upfront with your bathroom budget will allow your designer to advise on tailoring your design to your specifications as realistically as possible. You can use Houzz to assist your design process by creating ideabooks that reflect your dream bathroom ideas and style, finding inspiration for colour palettes and materials for bathroom furniture, tiles, cabinets and bathroom suites all of which will be hugely helpful in guiding the process of your Itchen Abbas, Hampshire bathroom designer and bathroom fitters. Understanding your vision and any limitations will allow your designer to come up with creative ideas and solutions. A new bathroom won’t normally need planning permission unless it is part of a house extension or you are modifying a listed building, but it is always advisable to check with your local Planning Authority before giving the go-ahead to your bathroom fitters in Itchen Abbas, Hampshire. Building Regulations apply to the building of a brand-new bathroom, where there wasn’t one before. Floor structures may have to be evaluated to ensure that they can support the weight of a new bathroom and a full bath in use and in some cases work may be required to strengthen timber joists and boards. Your bathroom designer will be able to advise on bringing in a structural engineer or surveyor to assess the floor and, if necessary, produce the paperwork required by Building Control in order to commence the bathroom fitting or installation. How long have you been bathroom designers and/or fitters in Itchen Abbas, Hampshire? Find a bathroom designer on Houzz. 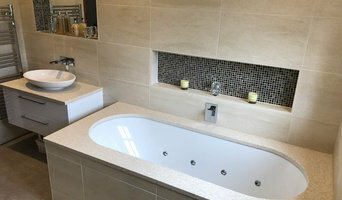 Narrow your search in the Professionals section of the website to Itchen Abbas, Hampshire bathroom designers and bathroom fitters in Itchen Abbas, Hampshire. 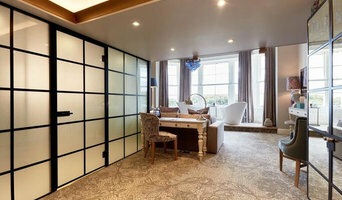 You can also look through Itchen Abbas, Hampshire photos to find a bathroom, wet room or cloakroom you like, then contact the professional who designed it and fitted it.